I have to admit that I was slow to the instant pot craze. 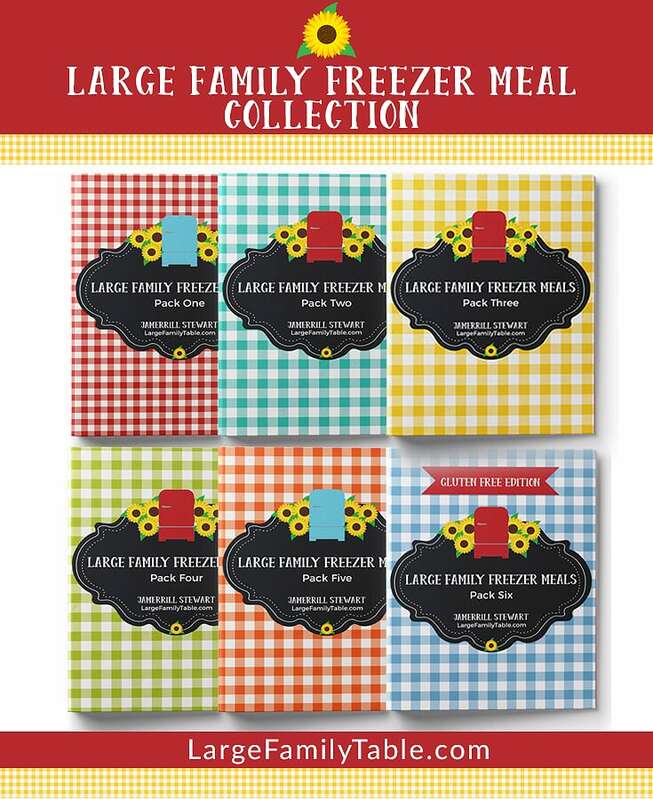 Initially, I wasn’t sure that it would be a good fit for my family or for the way we do our large family meals. But since I started playing around with both my 8-quart Instant pot and then added my huge 14-quart GoWise electric pressure cooker, I have grown to like them more and more. Especially on days like this day turned out to be. We enjoyed a trampoline for over 10 years at our old farmhouse and have had one sitting here at our current home for quite some time just waiting to be put together. We got that done two weeks before I shot this video and the kids had been enjoying it so much. The night before this video, however, we had a completely wacky and rare storm with extremely high winds. And those winds picked up our brand new trampoline and wrapped it right around a tree! (The trampoline was the only thing the wind picked up and for that, we are very grateful.) But we had a long afternoon of clean-up to deal with on this day and that meant that dinner prep was put on hold for a bit. Thankfully, my Instant Pot and my GoWise Electric Pressure Cooker were just waiting to serve me. 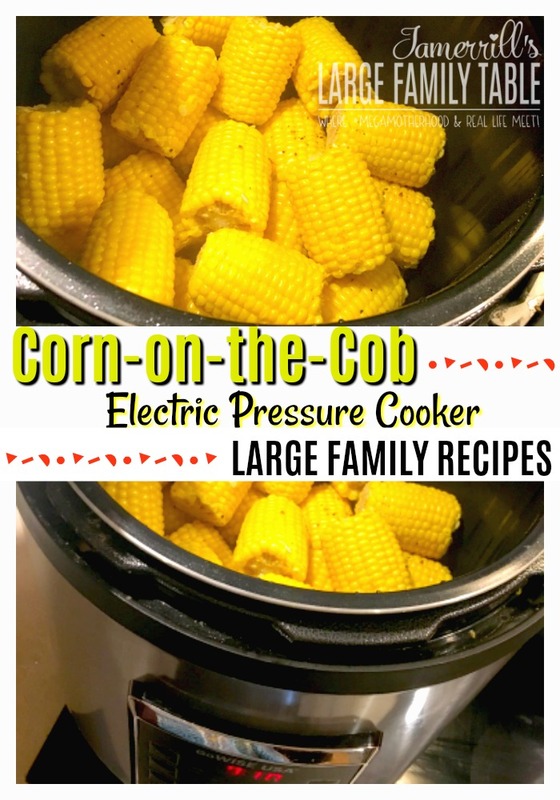 I managed in just a very short time to get a large batch of white chicken chili done and even made a big bag of corn-on-the-cob for a side (you can read here on how to cook frozen corn-on-the-cob in the pressure cooker). Let’s jump right into the instant pot recipe for this chili because it’s delicious and absolutely perfect for those cold, windy nights that pop up unexpectedly or on a day when you just need a yummy, hot meal that doesn’t require hours of prep and cooking. 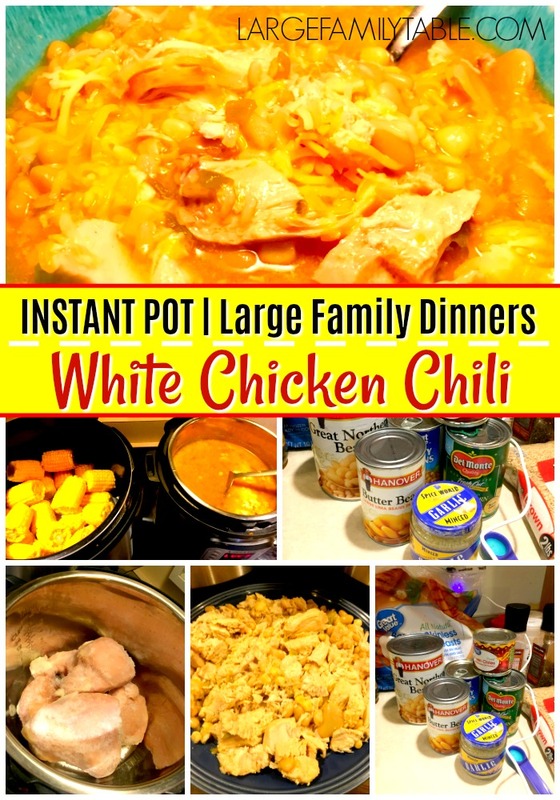 Hot and delicious, a change from the usual tomato-based chili, this White Chicken Chili really hits the spot. Place frozen chicken in pressure cooker. Set Instapot on the Poultry setting for 20 minutes and choose Steam. When the pressure cooker is finished, shred the chicken with 2 forks and return to pot. SLOW COOKER RECIPE You can also make this chili in your slow cooker by using thawed chicken and cooking it on high for 4 hours. 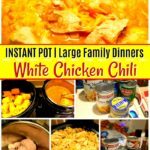 Click here to watch the full How To Cook White Chicken Chili | Instant Pot Recipe | Large Family Meals vlog on YouTube!